Friday’s heavy rain has highlighted the need for more work to protect riverside neighbourhoods in East Christchurch. 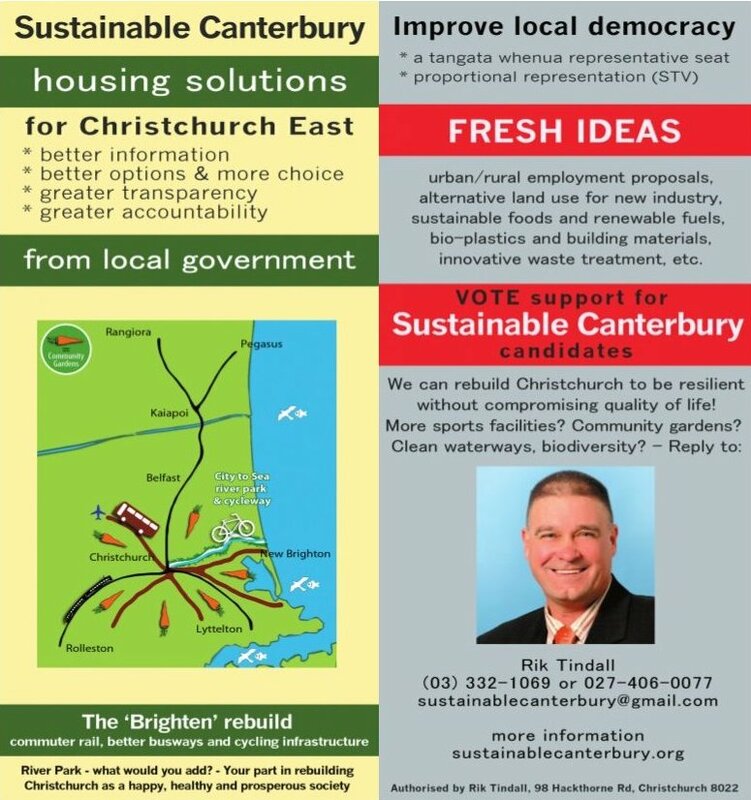 “Flooding on River Road, Avonside Drive, Dallington Terrace and New Brighton Road has local green zone residents worried that temporary stop-banks now need finishing,” says a Burwood-Pegasus council candidate, Rik Tindall. “The buckled Medway Street footbridge should be removed now, leaving the foundations for its replacement,” Tindall recommends. “Currently it stands as an ugly reminder of earthquake tragedy and a sense of official neglect in Christchurch East.” Walking and cycle routes need reinstatement to connect surviving neighbourhoods and lift spirits, Tindall believes. With scaled demolition about to clear red zone housing, residual homes in green island pockets will become unpleasant places to live, locals fear. Tindall advocates for remedial measures to coincide with demolitions, to give adjacent residents more reason to stay. To the north of the ward, the downstream effects of mass demolition are no better anticipated. 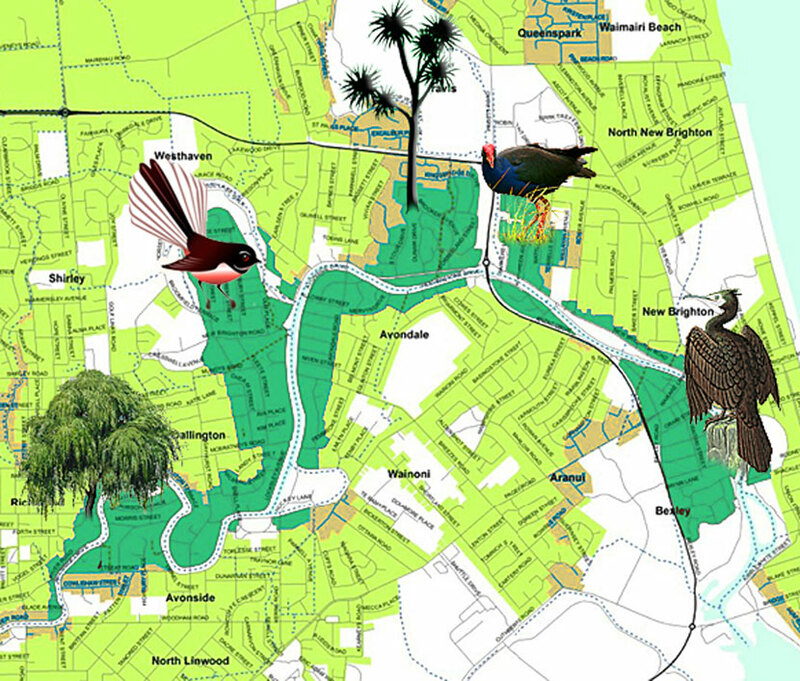 The proposed Burwood Resource Recovery Park has spurred ﻿Parklands neighbours into action. With doubt at the commitment of their residents’ association, a Parklands Recovery Group has formed to respond to urgent consenting issues this summer. “Asbestos and silt dust risks, with increased heavy traffic through their streets, are the main concerns of Parklands residents,” Tindall reports. “The combined non-notified council consent, under CERA administration for a public-private consortium, has already-traumatised locals on the back foot,” the council candidate says. 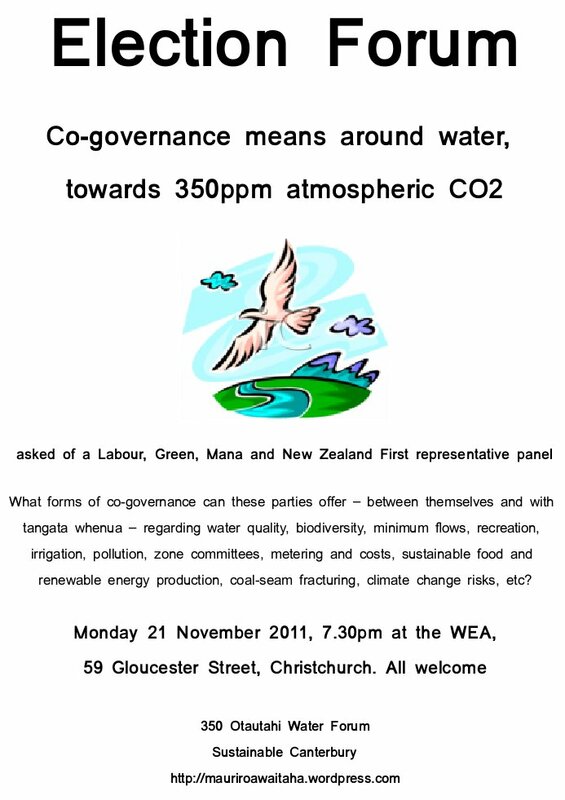 Sustainable Canterbury have announced their candidate for the Burwood-Pegasus ward by-election in February. The local environment watchdogs are running the group spokesman, Rik Tindall. “My Civil Defence and Emergency Management work and my relative youth will bring active benefits to the ward,” says the fifty-one-year-old father of one – a geography student. “More jobs based on innovation and energy independence, as well as food and other exports, are the future we need,” says Tindall. Sustainable Canterbury has a vision of low-cost and renewable building materials, locally made for an holistic rebuild effort. 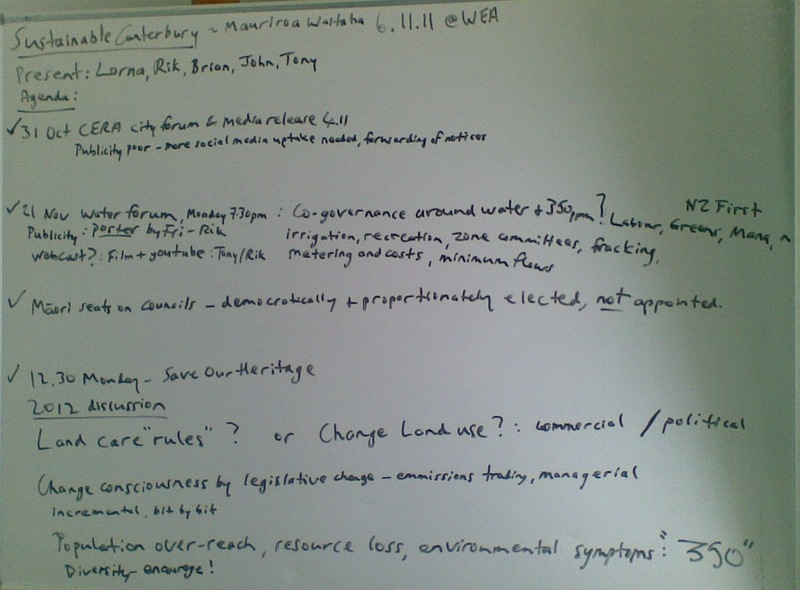 The group wants improved local democracy, with consultation for a tangata whenua representative seat on council and proportional representation (STV) begun. Water quality is another Burwood-Pegasus issue that Tindall wants accountability on: “Why is ECan cutting its water testing program at just the moment when it is needed most?” he asks. Thanks everyone who attended our last workshop for the year.